Windows 7 is the latest operating system from Microsoft. Windows Vista, the earlier avatar of the Windows series received as much criticism as praise from users, owing to the host of bugs and glitches present in it. Once you install Windows 7 on your PC and boot it up, the improvements made to it are readily evident. The booting time has been drastically reduced. The new revamped Taskbar allows you to switch between applications faster than ever before. 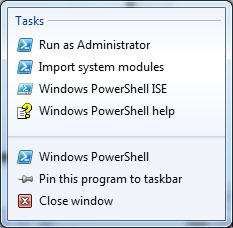 As an added advantage, you can now pin program executables directly on the taskbar, and launch those on the fly via the pinned shortcut. Also, with the bundled Windows Live Essential tools, its a snap to share your multimedia files over the internet. You can even make your own home movie and share it with friends, all with this suite of freeware tools. The greatly improved Windows Search allows you to locate your files and folders easily, no matter where in your hard disk you have stored those. What is Windows 7 Jump Lists? New jump list feature allows you to access any file that you frequently use with just 2 clicks. Have you got a 64-bit PC or own a Laptop? Well, for starters, Windows 7 is compatible with 64-bit PCs out-of-the-box. Windows 7 can help you get the most out of your 64-bit hardware. Click here to learn what is Windows 7 64-bit Support. The built in advanced power management tools will help you to greatly extend the time between consecutive battery recharges. Make use of Internet Explorer 8, bundled with Windows 7, to browse the internet safely. The customizable security settings, the inbuilt pop up blocker and integration with antivirus and spyware remover software make your browsing safe and productive. The Windows Defender software built into Windows 7 keeps your PC secure while browsing, and BitLocker encryption tool allows you to lock those files and folders that you do not want others to access via internet or any other network. Windows 7 comes loaded with various options to customize your computing experience. You can personalize your PC desktop with wallpapers, themes, and utilities of your choice. Even the in-built Aero theme not only looks cool, but also allows for smoother computing. Do you use a lot of software tools that require Windows XP to run properly? Dont worry. Windows 7 has a Windows XP Mode that allows it to run older applications in an environment that simulates Windows XP. The mode, activated via a download, allows you to seamlessly run productivity software and games that run better on Windows XP platform. Why don't you learn more about what is Windows 7 XP Mode here...? Do you have a TV tuner card installed in your PC? Its time to put it to good use. Windows 7 allows you to watch TV on your PC and also record your favorite shows on the fly with the inbuilt media recorder. You can also make use of the Windows Live Movie Maker to make exciting home movies of your own. Movie editing is a snap with this utility and making a full length movie is a matter of few minutes. You can also share those movies with your friends quickly, in a hassle free manner. Do you like listening to your favorite music tracks while you are doing household chores? Use the PLay To utility to stream your media files to a compatible player located anywhere in your home. Simply hook up the media playing device to your home network, run the file on your Windows 7 PC, select the PLay To option and select the media device. Thats it, you are good to go. The transmission takes place at a high speed, to ensure smooth, jitter-free playing of audio and video files, and also works on wireless networks. Next time you wish to catch up on your favorite movie while lounging in your backyard, dont forget to use this feature! The fun does not end there, either. You can also connect to your PC via internet when you are away from home, to view your photos and listen to music stored in your hard disk. Imagine being on a trip, and still being able to listen to music stored in the hard drive of your home PC! After all, what is Windows 7 but the Pandora's Box for all your wishes regarding computing? Windows7 comes with complete support for DirectX 11 graphics platform. It ensures that you get awesome, realistic graphics and mind-blowing audio out of your games, every time. Also, the added support for latest games ensures that your experiences are not marred by lockups, freeze-ups, and crashing of your favorite games. With Windows7, those rough spots in your gaming experience are soon to become history. Laptops or desktop PCs that have monitors with touch screen facility should definitely have Windows7 loaded into those. The operating system comes with the Windows Touch tool, which is fully compatible with latest models of almost all touch screen monitors. You dont even have to install any third party utility. The support is fully built into the operating system itself, so you can be assured of maximum compatibility and no glitches at all. So, just throw away that mouse and touch or tap your way through the myriad applications installed on your PC. Windows7 is simply the best avatar of the Windows series, and there is no doubt it will remain that way for a long time to come. If you havent used this operating system yet, do so today. It will certainly give you the computing experience of a lifetime. What is Windows 7 Specifications? 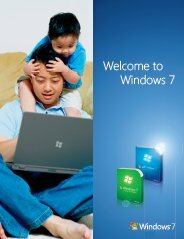 Hope that you found the answer of "What is Windows 7?"